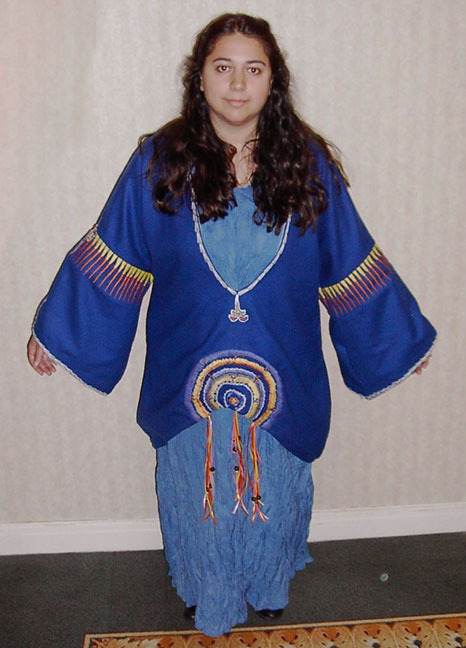 This was one off my first difficult costumes - it was started early on, abandoned and put away in a closet, and then brought back out when I had a better idea of how to tackle the embroidery. Near as I can tell, I made this in 2003. The "poncho" is made of blue wool - the sleeves are embroidered in a machine satin-stitch with yellow and orange thread. The "fleur de lis shapes" are appliques that were largely embroidered by hand. 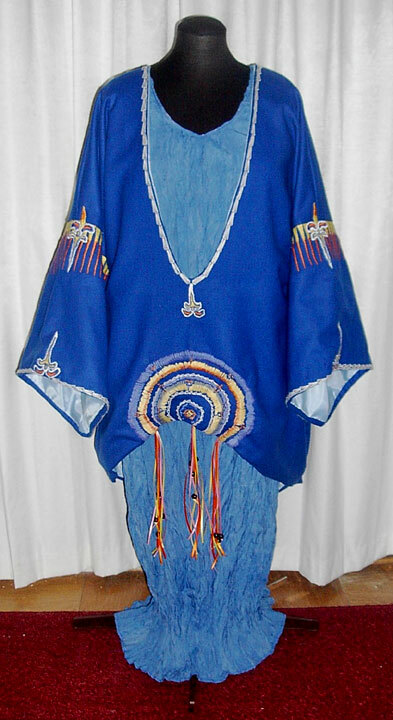 The neck and sleeves are hand embroidered with thin knitting yarn. The circle in front is done with knitting yarn, fabric paint, and hand embroidery. The ribbons in the front of the gown are silk, and the beads are African Trade beads. 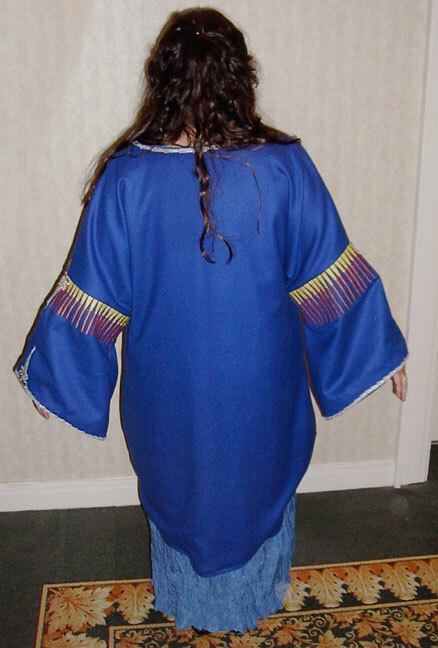 The underdress is hand-crinkled, hand-dyed Thai silk.